These tree dwellers are found in rainforests on the eastern coast of Madagascar. 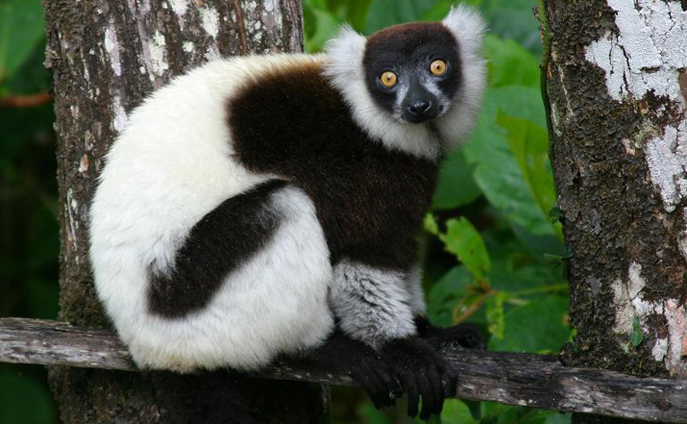 Black and white ruffed lemurs are most active in the morning and late afternoon. They spend most of the day feeding and resting high up in the forest canopy. Lemurs are very vocal and use facial expressions, body postures, grooming, play, aggression and scent marking as forms of communication. Black and white ruffed lemurs defend their territory with an extremely loud call.